Take it away, Tony Romo! There is, as they say, a first time for everything. So, for the first time in my life I am looking forward to a major sporting event not so much for the competition on the field, but for the announcing that will come from the broadcast booth. Yep, it’s true. I have no particular interest in the Super Bowl LIII matchup between the New England Patriots and the Los Angeles Rams. 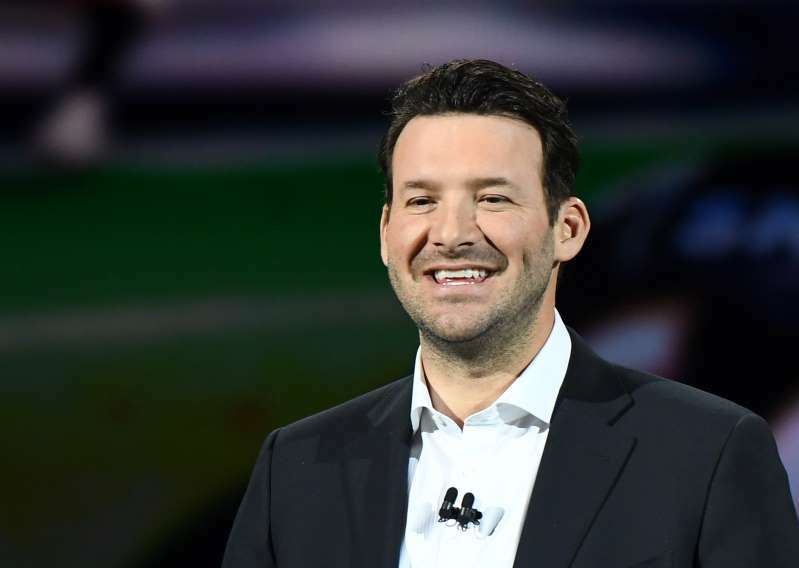 I do have an interest in hearing the real-time game analysis by Tony Romo, the former Dallas Cowboys quarterback who has become a media superstar. I was among the millions of Americans who became enthralled with Romo’s expertise while calling the Patriots’ AFC championship game victory over the Kansas City Chiefs a couple of Sundays ago. His energy and enthusiasm were contagious. His knowledge of the game, quite naturally, was stellar. Moreover, his ability to predict what the Patriots or the Chiefs would do on the next play was utterly astonishing! I expect fully to hear Romo bring all of that into the booth this coming Sunday when he provides color commentary for the Patriots-Rams showdown. I also heard it said that he makes Jim Nantz, the play-by-play announcer with whom Romo will be teamed for SB LIII, even better at his job. Let me be clear about something. I have been a longtime AFC supporter. Only one time have I rooted for the NFC team over the AFC team in the Super Bowl. It was in 2010 when the New Orleans Saints beat the Indianapolis Colts. Yeah, I’ll root quietly for the Pats to beat the Rams. I’ll likely provide golf claps if the Patriots pull off big plays. But my interest in the big game centers mostly on hearing Tony Romo, who never excited me much as a QB for the so-called “America’s Team.” I say that even though I now live in the heart of Cowboys Country. But, man, the boy knows how to bring a pro football game to life with his commentary! It’s getting late in the day and I’m feeling a bit sentimental, so I want to share this bit of good tiding with you. Allen Hurns, a wide receiver for the Dallas Cowboys, suffered a gruesome injury Saturday during the Cowboys’ pro football playoff win over the Seattle Seahawks. His ankle snapped; it was an ugly sight to see on TV. Hurns heard about the letter and then Face Timed young Luke to say “hello” and thank him for the youngster’s good wishes. Hurns’ gesture to the young fan made the young fan’s day. 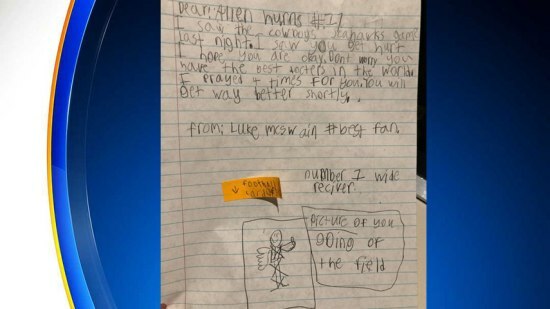 Hurns promised to send Luke a Dallas Cowboys’ trading card to add to his collection. Luke’s mother, Kim, said her son will continue to pray for Hurns’ recovery. This, I believe, is how professional athletes become positive role models for young fans. Well done, Allen Hurns. And to you as well, Luke McSwain. Hey, they’re going to play a football game just down the highway from my wife and me this weekend. It’s a pretty big game. They call it the Red River Rivalry, the annual game of blocking and tackling between the University of Texas and the University of Oklahoma. This is the first UT-OU game my wife and will get to witness from something approaching an up-close location. No, we don’t have tickets to the Cotton Bowl. Indeed, we’re likely to steer clear of the venue over the weekend. The State Fair is under way, too. The Big Game is part of the festivities. We attended our first State Fair just a few years ago, even though we’ve lived in Texas since 1984; we never found the time or had the interest in going until our granddaughter came along. So we took the DART train from Collin County and got off the train at the fairgrounds. I do, though, want to say a brief word about some of the talk I’ve heard in recent years about moving the game out of Dallas. I understand there’s been some chatter about moving the game west along Interstate 30 to the stadium where the Dallas Cowboys play football … in Arlington. There’s also been some talk about making it a home-and-home series: rotating between Austin and Norman. Keep the game at the Cotton Bowl! During the State Fair! 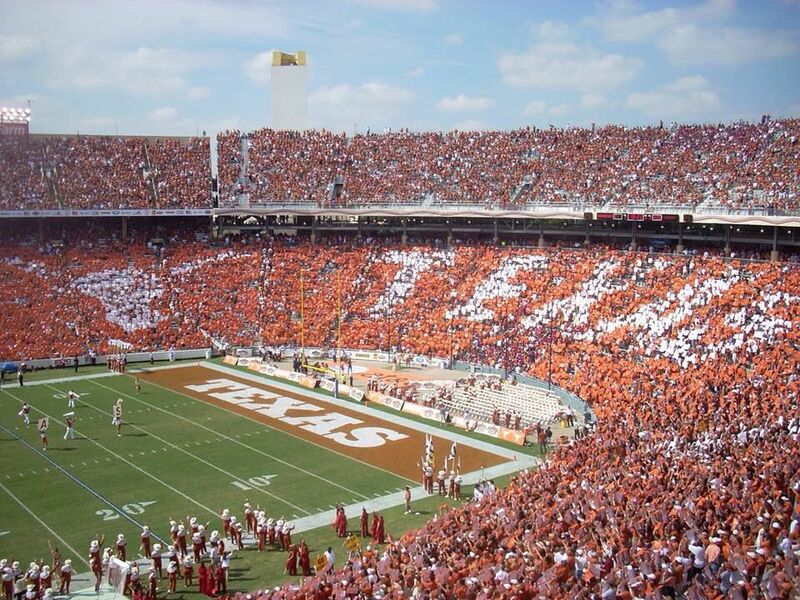 Fill the stadium with half the fans wearing Burnt Orange and the other half wearing Crimson and White. The venue is roughly equidistant between the UT and OU campuses, which makes it a “neutral field,” even though it’s in Texas. I get that the Cotton Bowl — which opened in 1930 — lacks many of the amenities found in many of the newer stadiums. Still, the game played there is a slice of Americana that needs to stay put. The Metroplex is going to be thrown into a frenzy no matter who wins this Red River Rivalry contest. It will be maddening to be sure. It needs to stay right where it is. How ’bout them Arlington Cowboys? ALLEN, Texas — Something’s come over me. I am welcoming the new year with my son, daughter-in-law and their family watching a Dallas, ‘er Arlington, Cowboys football game. Am I now going to become a Cowboys fan who cheers wildly whenever this team scores touchdowns or prevents the other guys from scoring? Is there a new year’s resolution in the making? That’s not the point of this brief blog post, however. 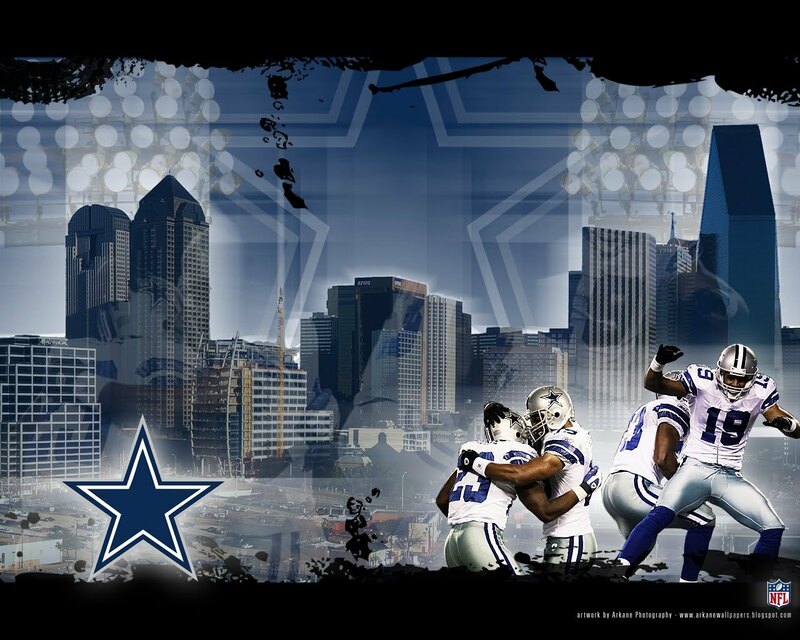 What often interests me is why this team is still called the “Dallas” Cowboys. The team came into existence in 1960. Its first few seasons took place in the Cotton Bowl, which is on property where they have the Texas State Fair every fall. It also is smack in the middle of Dallas. Then the Cowboys moved to Irving in the early 1970s. Irving is a suburb between Dallas and Fort Worth. After a few years in Irving, the Cowboys blew that stadium up and moved way over yonder to Arlington, where they play in that monstrous venue called AT&T Stadium; it’s also known more colloquially as “Jerry World” in honor of the Cowboys’ owner/general manager Jerry Jones. I have had several friends over the years who have lived in Fort Worth. To a person they have bristled at the mention of the title “Dallas Cowboys.” It’s especially true these days, I reckon, given that Arlington sits at Fort Worth’s doorstep, about 25 miles or so west on Interstate 30 from Dallas. I’m almost willing to bet a huge percentage of the fans who fill Jerry World on a given Sunday hail from places far from Dallas. Does it really fit, therefore, to refer to this pro football team as being from Dallas? Just askin’, man. Mom had a million of ’em … sayings, quips, one-liners that is. Today while at work a very nice woman asked me something and my response prompted that look from her that might have made me ask about the appearance of a second head. “Um, no. Not all of it. I was in and out of the game,” I said. “What? You aren’t a Cowboys fan?” she asked. “How can you live in Texas and not be a Cowboys fan?” she asked, sounding borderline incredulous. I proceeded to tell her that I am not much of a pro football fan. I mentioned that one of my sons lives in a Dallas suburb and he and his wife are huge Cowboys fans. He watched the game, I told her, and I assured her he likely is deliriously happy today that the Cowboys won. I told her I’ve lived in Texas for nearly 33 years. I told her I went to a Houston Oilers (remember them?) game years ago in the Astrodome. My favorite pro football team growing up was the Oakland Raiders; I alluded to my upbringing on the Pacific Coast, so I guess it was a regional thing with me. I suppose it’s the same way here. Then something occurred consciously to me that I’ve more or less felt for many of the past three decades-plus my family and I have lived in Texas: Mere residency in this state does not necessarily make one a Texan. 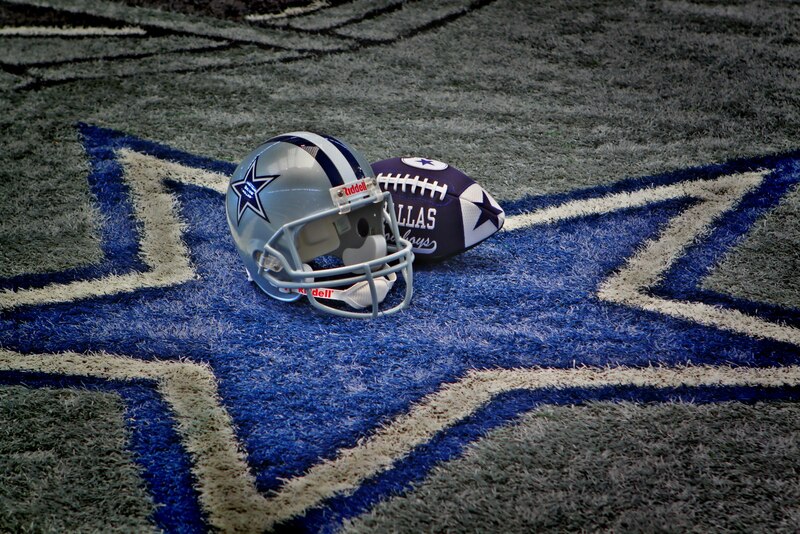 I suppose if I were a true-blue Texan, I’d be a serious Cowboys fan. Since my aforementioned Cowboys fan son came of age in Texas, he probably qualifies as a Texan — along with his brother — way more than their mother and I do. I did mention to the nice lady that I used to cheer for the Cowboys back in the 1960s when they tried to beat the Green Bay Packers for the National Football League championship. Roger Staubach, Mel Renfro — a fellow Oregonian — and “Bullet Bob” Hayes were my go-to guys back then. Am I wrong to dismiss the Cowboys? I wish them well as the playoffs commence. But if you’ll excuse me for identifying the team for which I plan to root, I’m going to stick with the Raiders. They’re having a stellar season, too. We’ve heard the term “narcissist” tossed around during the past year or so, usually while referencing Donald J. Trump, the next president of the United States. Trump is one of them, for sure. He might place a fairly distant second to the owner of the Dallas Cowboys, Jerry Jones. Jones, of course, isn’t your typical sports team owner. He doubles as the Cowboys’ general manager, which means he gets to make all the critical decisions related to running the team. He doesn’t hire some high-powered GM to make those calls; Jones does it himself. He’s got his own radio show in the Dallas area. He fairly routinely pre-empts the head coach, Jason Garrett. Just recently he said he foments rumors about former starting quarterback Tony Romo resuming his role just to stir things up, apparently with little regard to how it might mess up the psyche of Dak Prescott, the team’s current starting QB. I just wish Jones would find it within himself to do what sports team owners usually do: write the checks that pay the salaries, make an occasional public appearance at sports banquets — and step away from the spotlight. I get that he isn’t the first sports owner to make a spectacle of himself. Al Davis did it with the Oakland Raiders of the NFL; Donald Sterling managed to do so with the Los Angeles Clippers of the NBA; Georgia Frontiere of the LA Rams did, too. I don’t “follow” the Cowboys the way a lot of Texas residents, too, let alone “worship” them. However, I do grow weary of seeing and hearing the team’s owner. Put a sock in it, Jerry. 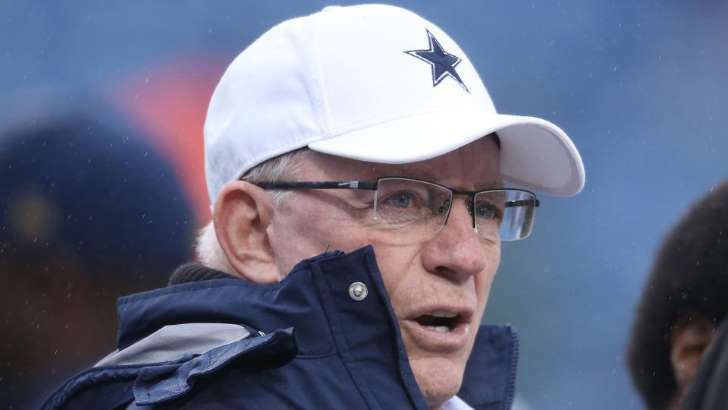 Would the Cowboys’ owner fire himself … please? 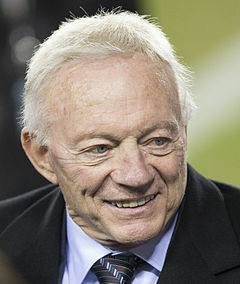 Jerry Jones engenders fairly strong emotions among those who follow professional football in the United States of America. How have the Dallas Cowboys done since then? Well, they’ve won some and lost some. Yes, they have won three Super Bowls since Jones took over as owner. Still, the team, it’s safe to say, has fallen far short of the expectations its brash new owner set for it. The word on Jones ever since he bought the team, though, is that he’s not necessarily a good “football guy.” Brilliant businessman, sure. Now he’s popping off about the effect of the sport in which he participates on a brain disorder called chronic traumatic encephalopathy. Jerry Jones needs to have his own head examined. He said the National Football League lacks sufficient data to suggest the existence between CTE and the collisions that occur on the football field. I do believe Jones is seriously — and tragically — mistaken. Thus, I should recommend that Jones watch a brilliant PBS documentary that got the nation’s attention a couple of years ago. “Frontline” broadcast “League of Denial” that chronicles a gripping series of cases involving men whose lives were shattered by CTE. What did these men have in common? Every one of them played competitive American football. “Frontline” peeled the skin off a disorder that has shattered many lives. Insufficient data? It’s out there, Jerry. Really. The NFL acknowledges it. So should the owner of the Dallas Cowboys. Is this a form of socialism? Greg Abbott, the candidate for Texas governor in 2014, spoke differently about subsidizing sports and entertainment events than when he became the actual governor. Back when he was running for the office — and on his way to trouncing Democratic opponent Wendy Davis — Abbott frowned on the state pouring public money into private ventures. Hey, but what happened? He’s governor now and he’s just committed $2.7 million in public money to help support a World Wrestling Entertainment event next spring at AT&T Stadium in Arlington … aka Jerry World. WWE, for those who’ve been living under a rock since the beginning of time, produces fake wrestling events. However, it’s huge, man! Gov. Abbott signed off on a plan to bolster the Events Trust Fund, which the state set up to help defray the cost of these extravaganzas. If you want to know the truth, I kind of like Candidate Abbott’s view better than Gov. Abbott’s idea. OK, I get that WWE’s big shows produce a lot of economic activity to any community that hosts them. Then again, this also seem to smack a bit of what some have called “sports socialism.” Public money gets kicked in to support a private enterprise event. Granted, the $2.7 million that Abbott authorized is veritable chump change when compared to the entire state budget, if not the entire amount of money set aside in the Events Trust Fund. These events ought to be able to stand on their own. It’s not as if the venue that’s going to play host to WrestleMania is a dump. It’s a state-art-of-the-art stadium where the Dallas Cowboys play professional football under the ownership and management of Jerry Jones, who — last I heard — wasn’t worried about where he’d get his next meal. What’s more, the money going to this event is public money. Meaning, it’s my money, and yours. With the price of oil plummeting and the state perhaps looking for ways to recover from the revenue shortfall that’s coming, let’s hope we don’t come up short because we’ve contributed money to help pay for a fake wrestling show. The decision has been made to combine the Amarillo Thunderheads baseball franchise with the Grand Prairie AirHogs. They’ll split their 2016 season between the locales: one here on the Texas Tundra, and one in Dallas-Forth Worth Metroplex. I’ve decided the new team nickname should be the Air Heads, given that it looks like a dorky decision to combine the teams in that fashion. The more problematic issue, though, might be how to identify the location name. I’d have mentioned the Dallas Cowboys, but that pro football team hasn’t played home games in Big D since the early 1970s, when it moved from the Cotton Bowl to Irving; the Cowboys now play way over yonder in Arlington, which is closer to Fort Worth than it is to Dallas, which gives Cowtown residents fits. But that’s another story. 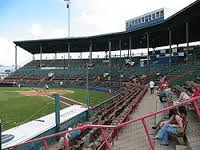 Will the Amarillo-Grand Prairie team be able to identify its location in a manner suitable to each city’s rabid fan base? Let’s all stay tuned to this one. You know what “jargon” means, yes? If not, I’ll tell you: It’s an esoteric dialect that only those who practice the craft being described can understand. Doctors speak to each other in jargon; so do lawyers; same, I suppose, for accountants, automobile salespeople or restaurant managers. They can use language only they get. Those of us who toiled in the newspaper business know those terms and what they mean. Well, it’s been determined that newspaper jargon is changing. It’s not even unique to newspapers any longer. It has become a form of digital-speak. The Dallas Morning News this past week announced buyouts involving 167 newsroom employees. Some of them are well-known names to those who read the newspaper. Yet that’s what came from the mouth of DMN editor Mike Wilson in announcing the buyouts. Verticals? Curate? What the … ? Some of the bigger newspapers in the country are going digital. The Dallas Morning News is just the latest. There once was a time when print journalists were secretly proud that they could talk to each other in a language no one else understood. Well, folks, those days appear to be over. Whoever is left standing after all these purges is going to learn a whole new language.